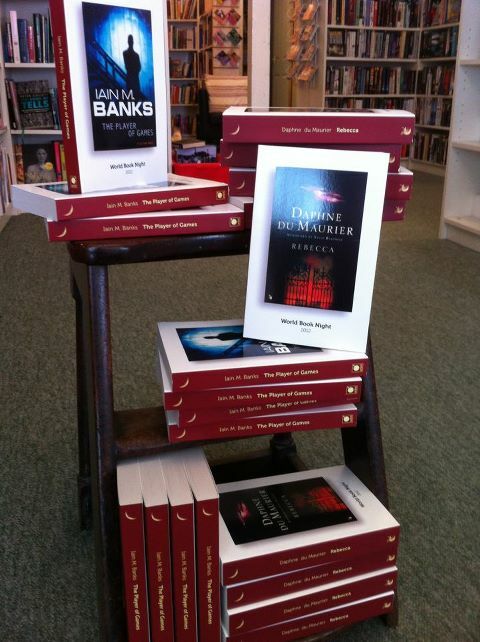 April 2012 – Hurley Books – How do you do? 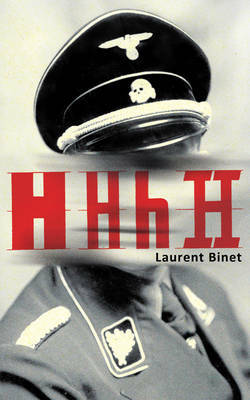 This stunning novel, published in France in 2010, won its author, Laurent Binet, the coveted Prix Goncourt for the best and most imaginative prose work of the year. This is the English translation and it loses none of its original power. This is a novel that reads as non fiction. It details the assassination attempt on Reinhard Heydrich by 2 Czechoslovakian parachutists, in Prague, in 1942. Heydrich is variously remembered as “the hangman of Prague”, “the blond beast” and “the most dangerous man in the third reich”. He was also one of the architects of the final solution, the Nazi blueprint to exterminate European Jews. All in all, then, not a very pleasant man and quite deserving of his comeuppance. The book teaches us a lot about the history of the period, the rise of Nazism, the dynamics of the war and the politics of the region. It’s also a reflection on brutality and persecution. All the characters are real and the events happened as described, but this is no dry history book. The book zips along at a fair old pace with short, punchy chapters (257 in all) which build the tension nicely. I loved this book and, even though I knew the outcome, which is simply a matter of historical record, I found it a riveting read. My one criticism is the title, an anagram of “Himmler’s brain is called Heydrich” which in German spells HHhH. A little too clever and obscure perhaps? I prefered the working title of “Operation Anthropoid”. That aside, I predict great things for this novel. Definitely one to watch! Happy Birthday Mr Shakespeare, hello St George (do leave the dragons alone) and welcome World Book Night! World Book Night celebrates the wonder, the glory, the fun and the fundamental necessity of books and reading. With this in mind the organisers have selected 25 titles ranging from non-fiction to sci-fi to classics and all and everything in between. People have then been selected up and down the country to hand out 24 copies each. There are over 2 million copies out there so Britain is going to be awash with people who love books passing on free copies to new converts! I have The Player of Games by Iain M Banks, just a stunning science fiction novel that is clever, interesting, challenging but most importantly accessible. My other title is Rebecca by Daphne du Maurier. Not just a soppy love story. In fact it’s not very romantic at all, it’s dark and cruel, murderers flourish and madness reigns. Great fun. It’s fair to say that I don’t like going up to strangers but I needn’t have worried, I picked on the Mevagissey fishermen and they were poppets. Many requests for the Karma Sutra but I had to tell them we only had the Braille version, half of them picked Rebecca which I thought was great, one boy said he was going to give it to his wife for her birthday but we all pointed out the word “Free” copy on the book. It wouldn’t be the best move. Much joshing about who could and couldn’t read but I hope that they do get a moment out at sea to just stop for a second and read a chapter. If they have The Player of Games they can dream of alien seas, if they have Rebecca, they can look back to shore and see the rhododendrons rolling down to the shore and just picture the scenes in front of them. The Testimony – James Smythe. Release Date 26th April. If you heard a voice in your head would you think it was God or that you were mad.? What if the whole world heard the same voice? One morning almost everyone in the world hears static in their head. No one can understand it or explain it, with a paranoid middle east and a trigger happy United States, nations start to feel the strain. The following day, the world hears the words “My Children.” Panic ensues, nations start blaming each other, is it God, aliens, terrorists? On the third day the voice says ”Do not be afraid” and the world falls apart. This was a very clever apocalyptical novel, told through the lives of 26 people spread across the planet. It challenges how we view religion and politics and poses the question what would we do if we thought God was suddenly speaking to us? The book also cynically observes how quickly panic can destroy societies. 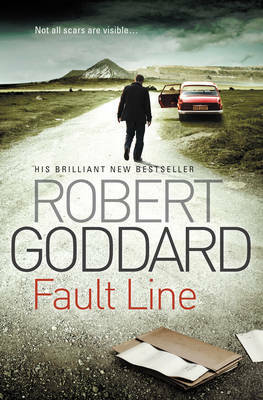 Although no issues were posed in detail and no answers were given it still made for a gripping read. I’m in a very bad mood. Some of you may know my brother John, he lived here in Cornwall for a few years and loved his time in Mevagissey. Eventually the siren calls of Norfolk pulled him home and he returned to Norwich with his sweetheart Katie and settled down and they now have a gorgeous little girl. I know, how amazing, John, a father! Anyway, he’s a self-employed carpenter, a pretty good one even if I do say so myself, my hand built kitchen and panelled bathroom are just some testaments to this. It’s hard work and despite his skill, like most manual jobs it’s not well paid, work can be on and off and financially, times can be tough. 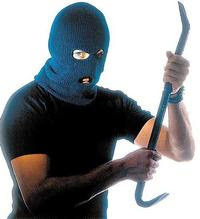 So imagine how awful it was for my brother to wake up one morning and discover that his van had been broken into and all his equipment had been cleared out. The sheer front of these thieves is all the more shocking when you discover that he lives on a terrace without front gardens so the van was within feet of his front door and that of his neighbours. Even worse, because his little one was teething John was sleeping on the sofa right by the front door. The police called and explained that this appeared to be the work of a gang that had very smart methods at breaking in silently and removing gear quickly, poor John wasn’t the only craftsman to wake up and discover their livelihood had been stolen. The insults continued as he got in touch with his insurers, his car insurers said they don’t cover power goods, his home contents insurers said they don’t cover work equipment. So in the space of minutes John went from losing over a thousand pounds worth of tools to realising that they would not be replaced. He’s worked years to build up his collection and as a self-employed workman he doesn’t have access to a company pool of tools. His friends have rallied round and offered him their stuff but as he quietly puts it, his tools were for professional use not occasional DIY and he doesn’t want to damage or wear out something offered in a generous spirit. And of course his mates that are also chippies need their own machines. So now he has no work, no funds to replace his tools and he’ll have to start from the bottom all over again. All this heartache and misery because some people out there are lazy, stealing, deeply, deeply unpleasant people. The police don’t think they’ll catch them and if they do John will never get his tools back or be properly recompensed and they will get minimal sentences. There is something really wrong when it’s the hard working, honest types that lose out whilst the cheating, feckless sorts prosper. As I said I am in a bad mood. The Only House Left Standing – Thomas Hurndall. Thomas Hurndall, or Tom as he was universally known, gave his life for his belief that the Iraq war was fundamentally wrong. He was an incredibly brave man who refused to compromise his ideals. This book is his journey in his own words and photos. Tom Hurndall was a photography student who, at the threat of war in Iraq, volunteered to join the International Solidarity Movement (ISM). They were better known as “human shields”. On the 21st february 2003 he flew, with other members of the ISM, to Baghdad where he hoped he could make some sort of difference as the threat of war gathered pace. Often hated by both sides and branded as “tree huggers” these human shields were made up of individuals from all over the world who felt they had to do something and who could not simply stand by and not give voice to the power of their convictions. Moving around the middle east Tom travelled to various refugee camps were he offered help and assistance at every opportunity. As an activist against the Israeli occupation of the Palistinian territories, Tom decided to travel to gaza. 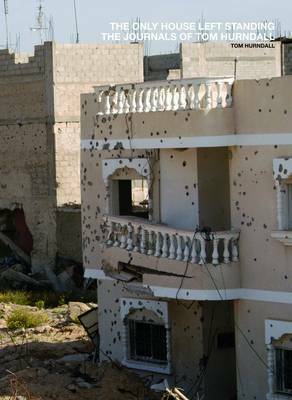 It was here, on 11th April 2003, he was shot in the head by an Israeli sniper as he attempted to rescue 2 children pinned down by gunfire. He died 9 months later from his wounds. Maybe I can get the dog to look after my children? This week is not going according to plan. It’s not my sons’ fault but I’m going to blame them anyway. Easter holidays have coincided with me working in the shop again as we move back into full time opening and so I’m trying to write my articles, file my VAT returns, do the housework and run the shop all whilst trying to juggle the demands of the children. It’s getting so much easier now that they are getting older but they still have no concept of the fact that just because they’re on holiday doesn’t mean that I’m on holiday. I discovered the other day that there isn’t a lower age limit for leaving your children unattended. You may not leave them in harm but that’s it. I nearly booked a weekend away with Steve there and then. All those years when I could have left them but then that’s the point isn’t it. I don’t need a law to tell me how to look after my children. I already knew when they were too young and now how much they can be trusted. Even so I can’t bring myself to leave them for more than an hour but at least it means I can run errands without having to drag them along. Harry gets dragged along, not that he minds because it means that there’s a chance we’ll stop somewhere for a walk. He is such a daft mutt, he greets everything with total enthusiasm and we’re debating at the moment getting a second dog. He has been such a treasure that a second dog wouldn’t be too much of a burden, the trouble is that dogs are so expensive. I’d like another puppy simply because we can all get used to each other, we have two cats, a dog, loud boys and busy lives and I’d hate an older dog to not be able to settle into our routine. We did go to the RSPCA shelters to investigate a rescue dog but it just didn’t work out. Despite having a dog our house would have to be checked which affronted Steve a bit but I suppose they need to cross the “t”s and dot the” I”s. Then we couldn’t have some dogs because of the cats, other dogs because of Harry and finally other dogs were ruled out because of the children. In the end only one dog was available, a four year old half mastiff! He was a sweetie but huge. It was all a bit disheartening really. 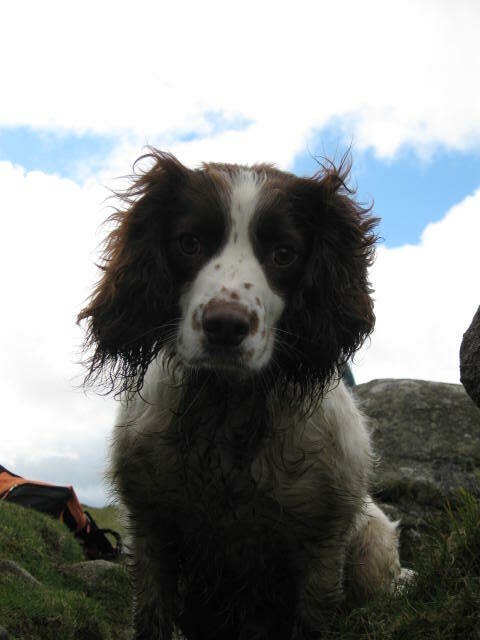 What I want is another Springer or a Cocker, they’re a lovely breed and in theory will enjoy all the exercise that Harry already gets. We shall have to keep our ears open and then maybe Harry will have someone to play with on our walks and when we go away he’ll have company in the kennels. It will also make a nice change for him to have an animal at home that doesn’t attack him whenever he goes up to say hello. The cats aren’t normally vicious creatures but at 16 years old they draw the line at having something loud and hairy sniffing their bottoms. Can’t say I blame them! This is a welcome return from the musings of the posh postie in Cornwall. Tessa Hainsworth left her high powered job in London in a fit of euphoria and decided to restart her life and that of her family’s in Cornwall. Life was tough at first until she got a job as a postie in the Roseland area of Cornwall. In common with her first two books describing her trials and tribulations, Home to Roost is written with humour, love and a huge dollop of self-deprecation. 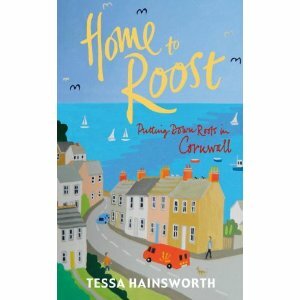 Tessa shows what life is like in Cornwall today for villagers coping with “incomers” and “up country” attitudes” and shows how communities try to keep together and make ends meet. The book is refreshing in that Tessa never fails to show how she puts her foot in it but also tells all about the lives of her friends and neighbours that she visits during her rounds. For obvious reasons all names have been changed as these books are contemporary. The writing is confiding and welcoming and it reads like a letter from a friend. The characters in the book seem larger than life and their concerns from dying trees, paved front gardens and fear of icy roads all leap off the page and keep you turning until in a rush you are at the end. This is a lovely read and will make you smile from ear to ear, it may also make you think twice about the realities of living in Cornwall all year round. Fed up with the cost of everything. It’s all going to hell in a handcart! 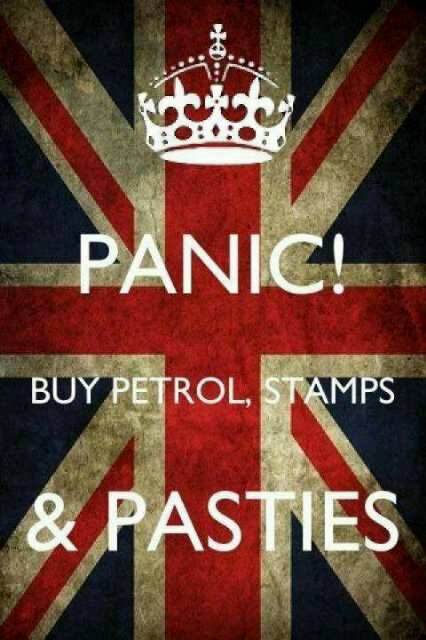 Global warming has arrived ahead of schedule, first class stamp will soon cost 60p, the Government want to put VAT on my pasty and it cost me £80 to fill up my car yesterday. To be honest I’ve taken to looking at the sky to see if it’s falling down yet. I’m not sure what concerns me most, the VAT on pasties is a bit of a red herring but the whole VAT issue is one that affects my business so I’m watching this story with care. The postage hike is more immediately alarming, not because of the price hike which is a concern but because it is the first step in making the Royal Mail ready for privatisation. I don’t mind paying a bit more for a fairer price but I am alarmed by the idea of the postal service becoming privatised. I could be sarcastic and comment on how well privatising the rail network and the water companies worked, to say nothing of the benefits in privatising the electricity and gas companies but what would be the point. None of us actually think that it worked out for the best. Where we are stuck with a local provider as in water we are facing the highest costs in the country because we have the beaches that the rest of the country makes use of for half the year. Where we have a choice of providers such as the power companies they have ensured that the tariffs are so confusing that no one is capable of getting a good deal and keeping it. It we want to travel across our nation we run the utter headache of multiple timetables and pricing structures that can make flying to Greece cheaper and easier than taking a train to Haverfordwest. So nationalising the post office? Bleugh. Great for the cities – obviously but for rural areas, far flung areas, islands? This is going to hurt. The whole strength of a nationalised industry is that the strong helps the weak and we truly all pull together. And can you imagine the mess when a book fails to get delivered, every company along the network will be able to blame each other. At least if I put a letter in a letter box now there is only one place to turn to if it fails to arrive. So long term it’s the Royal Mail that bothers me as it will have a noticeable impact on my online business but what concerns me the most at the moment is the ever rising cost of fuel. My tank tends to last me a few weeks and yet every single time I go back the price has gone up again. I sold my gorgeous old petrol guzzler because £50 a tank was outrageous. Now I’m putting £80 into my fuel efficient diesel and it doesn’t seem fair. I mean really £80 and I’ll need to do that again in three weeks. I could buy a lot of stuff for £80 that would last a damn sight longer, shoes, clothes and so on. I really don’t know how people are managing and that’s what concerns me the most, soon something has to give, our cars are not luxury items they are essential parts of our daily lives. So despite the sunshine I’m a wee bit fed up today. Oh well soon it will start raining and then I’ll have something new to complain about! Enjoy the sunshine and catch up next week. 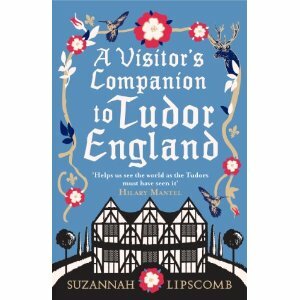 A Visitor’s Companion to Tudor England – Suzannah Lipscomb. Suzannah Lipscomb is well qualified to write a history book of tudor England as she spent many years as curator of Hampton Court Palace. In her own words she appreciates the “value of telling history where it happened” and this strongly comes through in this informative and well written book. The book works on many levels. It is a practical handbook to fifty of the most interesting Tudor houses, palaces and castles; it’s also a handy guide for the casual visitor of these sites. More importantly though it’s a history book and offers a fascinating and informative introduction to the key events and people of the period. Lipscomb does not set out to write a scholarly book, her style is chatty and, as a result, the book is very readable. As you read the book there is a strong sense of walking through history which is the authors intention. If your knowledge of Tudor England is lacking, as mine was, this is the book for you.